Rev Dr Richard Frazer, convener of the Church of Scotland's Church and Society council has joined church leaders from three other Scottish churches to write an open letter to President Donald Trump asking him to consider revising his administration’s policies on migrants and asylum seekers. 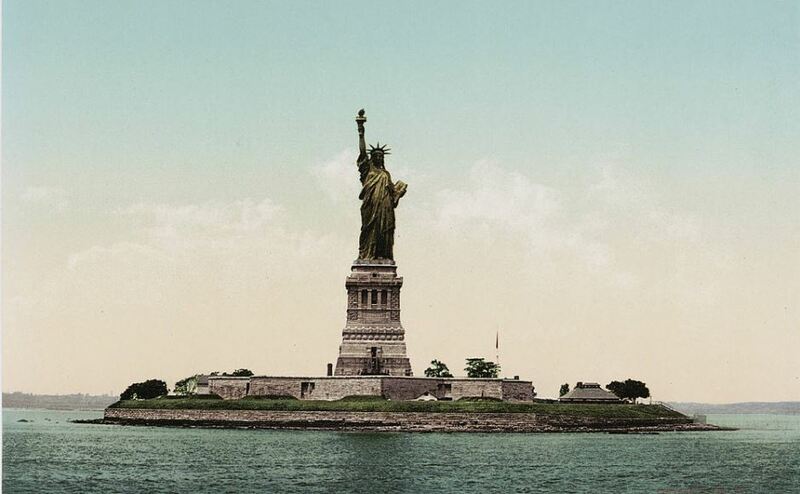 The Statue of Liberty in a photochrom postcard published around 1900 by the Detroit Photographic Company. The iconic symbol of the United States of America, the Statue of Liberty proclaims “give me your tired, your poor, your huddled masses yearning to breathe free”. She has been seen by generations of Scots, including your own ancestors, who went to make a new life and in turn contributed to the life of a nation unequalled in history for its diversity and opportunity. It is with great sadness that we have followed reports of events in recent months which have seen families ripped apart and children placed in cages. While all nations have the right to ensure their safety and control their borders this action has gone beyond what good conscience can accept. As a nation shaped by migration, Scotland’s people have known what it is to be welcomed as the stranger - and to welcome others. Most religions teach a form of the Golden Rule (treat others as you would wish to be treated) and the inherent value and dignity of every human being. People of faith are aware that our common humanity transcends national, racial, cultural or linguistic barriers. Offering hospitality to strangers is a common requirement of many different faith traditions. In recent years in Scotland faith groups have lived and worked alongside refugees and asylum seekers, often in partnership with members of other faiths and with voluntary and statutory agencies. Scottish Faiths Action for Refugees is just one example of collaboration between people of multiple faith traditions. While our history is marked with incidences of conflict, division and sectarianism, the Scotland you are visiting is multi-cultural, multi-faith, and enriched by the contribution of all Scots, native or new. Across our nation, communities are opening their doors to those seeking safety, most recently leading the UK in welcoming Syrian refugees. In offering protection from persecution we, in return, receive creativity, hard-work, and friendship; we are made new. We hope that your visit, continuing the long friendship between our countries, will give you the opportunity to see and hear that life in all its fullness does not come at the exclusion of others. At the start of your Presidency, His Holiness Pope Francis prayed for wisdom and strength as you exercise your office. We join our prayers with his, and pray that, as you look to the God who exults the poor and lifts up the lowly, you will remember the poorest and most recently arrived in your country, who, like many Scots before them, have so much to offer to your country and the world. Grace Buckley, member of the National Justice and Peace Commission for Scotland, a commission of the Scottish Catholic Bishops’ Conference. The Church of Scotland has also been critical of the UK Government's hostile environment policy on migration and Rev Dr Richard Frazer is a signatory to a letter to Home Secretary Sajid Javid on that issue.